Looking for a warming fall meal without all the heaviness? This is the perfect recipe for you! This jambalaya is packed with flavor without all the fat and calories of a traditional jambalaya. Sausage is omitted from this version and cannellini beans used to add additional depth and richness. The recipe also calls for farro, which I’ve never used before, believe it or not, instead of rice. It outperforms white and even brown rice, with more protein and more fiber and is packed with a number of vitamins and minerals you can’t get from rice. 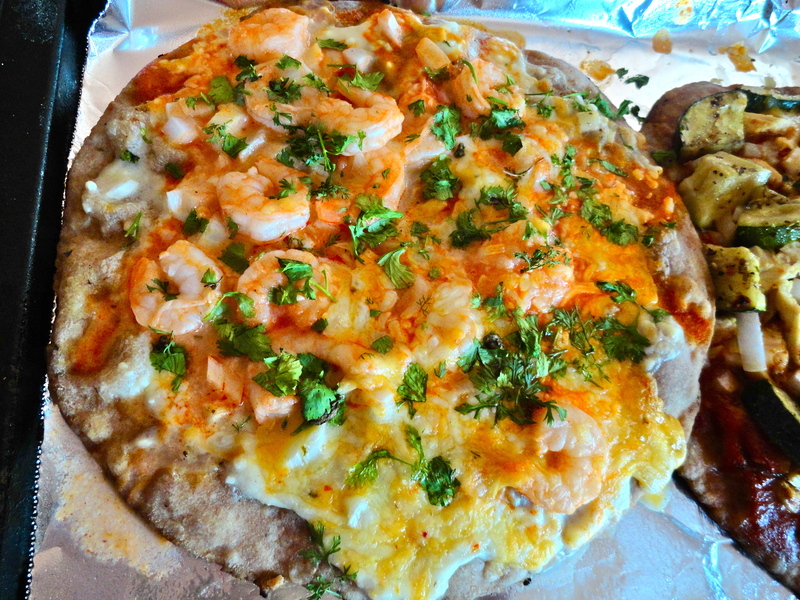 The original recipe called for raw shrimp, but I make a habit of having frozen cooked shrimp in my freezer, so use what works for you. Overall, this was an awesome dish and perfect for those fall, and even upcoming winter, evenings. I have most everything in my kitchen at all times, so this is a fun #Ijustthrewittogether and #ohiwasntexpectingcompany recipe! In a deep sauté pan, heat oil over medium heat. Add onion and cook until softened, about 2 minutes. Add 2 tbsp. olive oil, celery, bell pepper, farro, bay leaves, garlic powder, paprika, chili powder and tomatoes. Stir until well combined and season with salt and pepper. Add the vegetable broth and stir until ingredients are combined. Bring to a boil. Reduce heat to simmer, cover and cook until broth is reduced, about 15 minutes. Stir frequently. Add beans and shrimp and stir until combined. When shrimp is cooked through, about 5 minutes, season with salt and pepper and serve. As I mentioned in the last post, there was a recent addition to our family, Milou. I’ve been busy running around with her, and not blogging. Shame on me! Just look at that sweet face! I bet you forgive me now 😉 Okay, on to the food! Who doesn’t love fried rice? I certainly do, and so does Nate. The hardest part about making fried rice is the rice. The rice has to be completely cool before using, and leftover rice works the best. Unfortunately, the thought to make rice one day and use it the next rarely occurs to me. Until…my girlfriend snapchatted me her dinner one night. I immediately responded needing to know what delight she made. She promptly emailed it to me the next day with the recipe. What a friend! 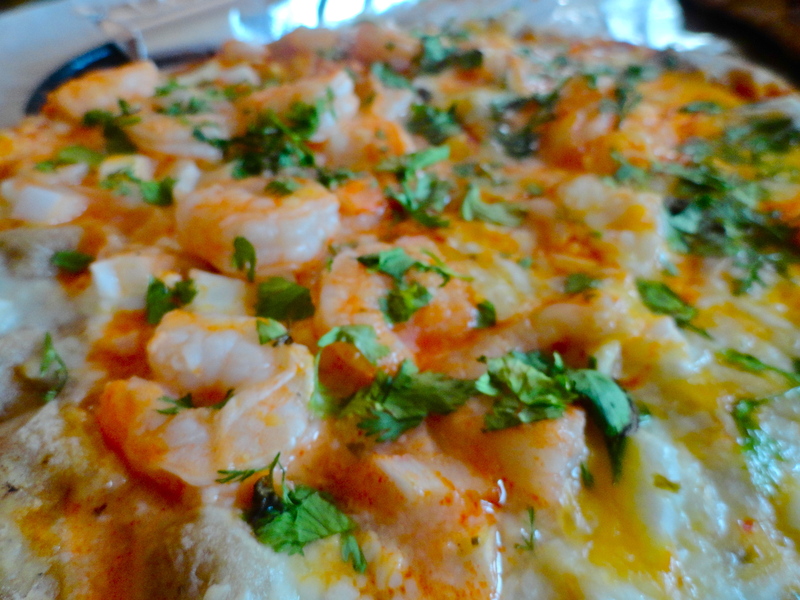 Now this is originally a vegetarian dish, but I did add shrimp to up the protein a little. Obviously, feel free to follow the recipe as written, or add whatever protein you like. Tofu would be a good option if you want to keep it veg, too! I was curious to see how the flavors would come together with the maple syrup added in, but it was a great balance of salty and sweet. I would definitely make this again, and it’s so super simple. Nate also demanded it as he came up for air once while consuming! In a large frying pan, heat oil over medium heat. Add Brussels sprouts an saute until just tender, about 4 minutes. Add onions and garlic and cook until onion is just beginning to turn golden brown, about 2 minutes. Add soy and maple syrup and stir to coat vegetables. Add rice and cashews and continue cooking for another few minutes until rice is hot. Salads are pretty common in our house in the summertime, and what makes them even better is fresh lettuce or greens from the garden. This year, I’ve planted three different kinds of lettuce, and am already getting to enjoy them (yeah, I started writing this in June). But, what’s great about lettuce is it’s hearty enough to withstand cool nights in the fall. Even on the last day of September, my lettuce is still going strong! I’ve never made a chimichurri before, but it sounded delicious and couldn’t have been more simple. The recipe I followed from Food and Wine called for parsley, but if you are a regular reader (I know, who could be regular when I haven’t been posting much lately), you know I rarely have parsley and almost always use cilantro in its place. Even better, I used cilantro from my garden! The only other substitution was cannellini beans in place of black-eyed peas. I didn’t have any, but I had everything else, so I decided to just roll with it (you can too!) and make what I already have work. It did! 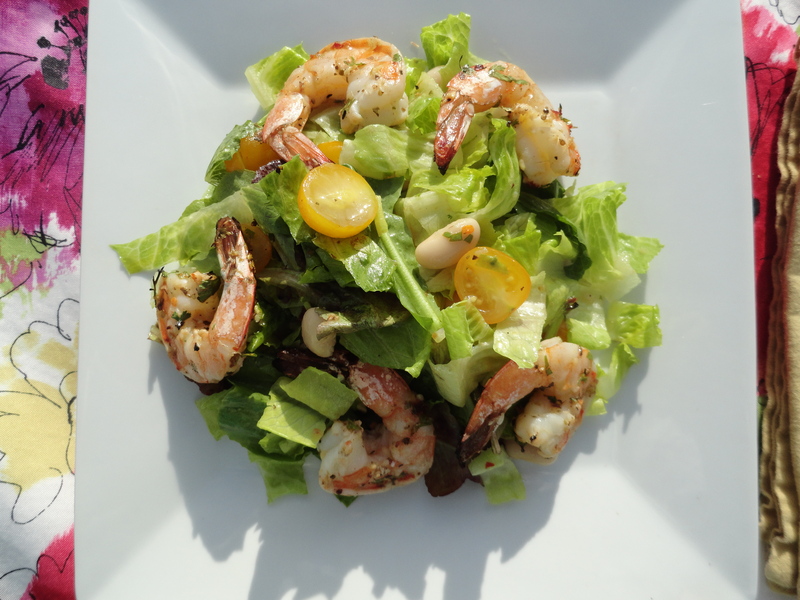 I loved the chimichurri not only as a marinade on the shrimp, but it was a great dressing for the salad, as well. We didn’t need (or have) any extra to pass at the table, so I don’t think it’s necessary, but go for it if you like things saucy! Nate cooked the shrimp perfectly, he says with my help, but he did all the work. I just said when they should come off the grill. 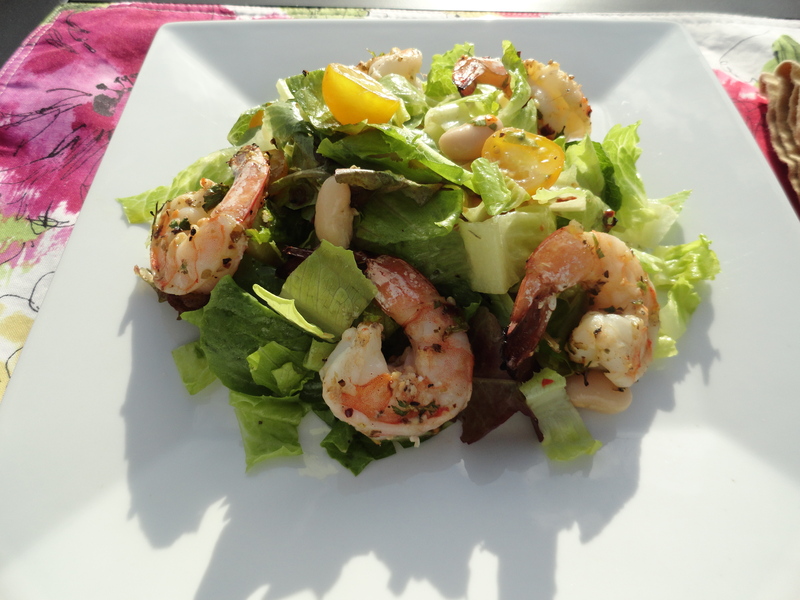 The warm shrimp, paired with the fresh garden flavors of the salad were a perfect combination. This is great for a quick dinner, and even an entertaining dinner, as it’s filling, but not too heavy. 1. In a medium bowl, whisk cilantro, olive oil, lemon juice, oregano, garlic and crushed red pepper. Season generously with salt and pepper and adjust to taste. In a large bowl, toss shrimp with 2 tbsp. of the chimichurri and refrigerate for 30 minutes. 2. Preheat grill to medium high heat. 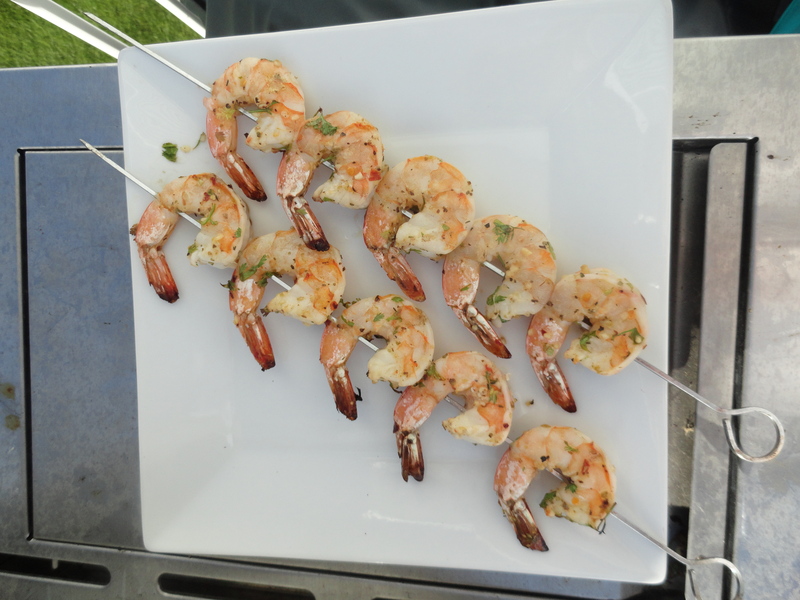 Grill shrimp, turning once, until lightly charred and just cooked through, about 2 minutes on each side. Transfer to plate. 3. In a large bowl, toss beans, tomatoes and greens with 2 tbsp. chimichurri. Season with salt and pepper and pile evenly on two plates. Top with shrimp and avocado and serve. Pass remaining chimichurri at the table. My girlfriend was coming over for dinner last Friday night. She had originally suggested going out for seafood, but seeing as though I’m not working, I countered with cooking in. I know, not quite as exciting (though, it can be with enough wine and Just Dance). 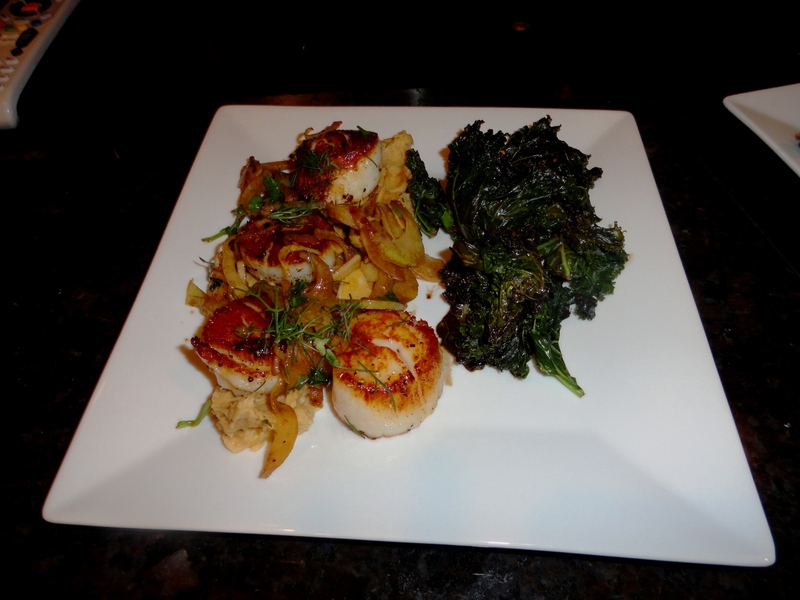 But I did splurge a little and get us some scallops, which was perfect, as I had this recipe waiting for use. Unfortunately, she had some car trouble so she wasn’t able to make it. Fortunately for Nate, that meant he got leftovers 😛 The scallops with the fennel was absolutely outstanding. 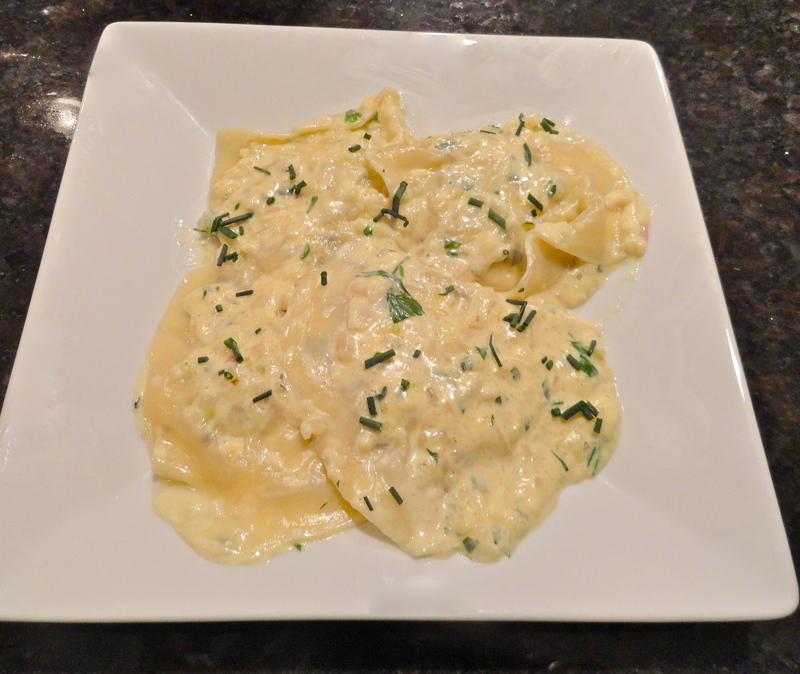 I amped it up slightly by serving them over a parsnip puree, and drizzled with truffle oil. It wasn’t necessary by any means, but why not add a little luxury into our simple lives? Sorry the pictures are so gross – not very good lighting late and night, but this was too good not to share with you! Oh, and what the heck is a “grenobloise”? It’s just a fancy French term for “sauce of brown butter, capers, parsley, and lemon”. It makes for a much shorter recipe name: Scallops with Fennel Grenobloise vs. Scallops with Fennel, Brown Butter, Capers, Parsley and Lemon. Yeah, I’ll take the first one. But how do you pronounce it so you don’t sound like a dope? You really can’t, but if you must try, here’s a little help: “grewn-o-blwahz”. Seriously. This is the second time I’ve made scallops at home, and they are so easy to make. Don’t be scared to try! A few key tips: 1) Make sure the scallops are very dry before placing in a hot pan. I laid mine between paper towels in the fridge a few hours before I planned to make them. 2) Get your pan nice and hot. 3) Be patient and don’t move once you get them in the pan. This will get that nice crisp sear on the outside while keeping the middle warm and opaque. 4) Don’t overcrowd your pan. 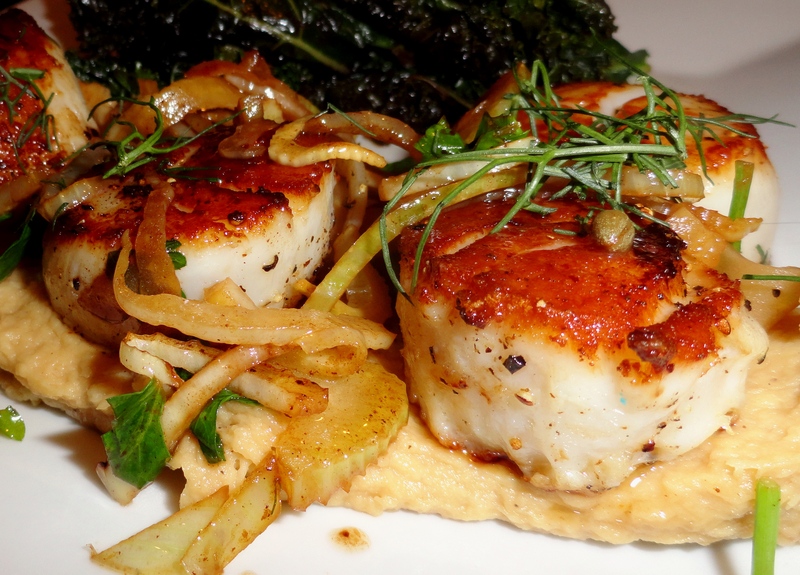 Placing the scallops too close together will steam them instead of searing them. YOU DO NOT WANT THIS. I promise, follow these tips, and you can’t screw them up. 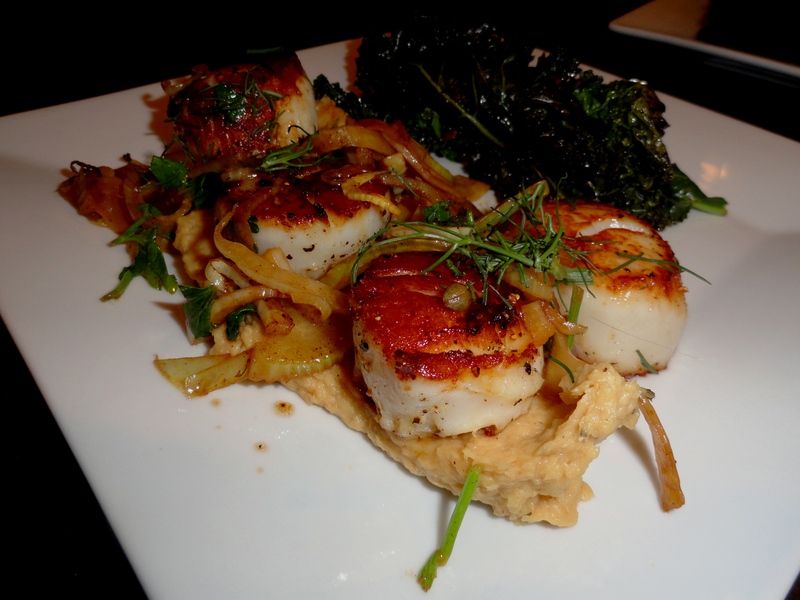 The simple taste of the scallops paired great with the rich taste of the fennel. Open a nice bottle of wine and make this for your honey this Valentine’s Day instead of braving the crowds and overpriced menus. 1. In a large non-stick skillet, heat olive oil over moderately high heat. Season both sides of scallops with salt and pepper and cook over moderately high heat until golden brown on the bottom, about 3 minutes on each side (DO NOT move in the pan – this will allow them to sear properly). Transfer to platter and keep warm. 2. Melt butter in same skillet. Add fennel and capers and cook over high heat, stirring until the fennel is crisp-tender and lightly golden, about 2 minutes. Stir in lemon juice and parsley, and season with salt and pepper. Spoon fennel around the scallops and garnish with chopped fennel fronds, serve with lemon wedges. I’ve had swordfish one time in my life, and from what I remember, I thought it was just okay. It’s a fairly plain, meaty white fish, which makes it an excellent canvas for flavor. This was added to my 30 Before 30 list by my husband, though I’m not really sure what prompted it. As you can probably guess, swordfish isn’t all that easy to come by, but you can likely find it at your specialty grocer, such as Whole Foods, where this recipe actually comes from. I was excited to try it, because you know I love anything spicy, and Sriracha is the best! Lucky for me, I decided to make it on a day that was somewhat mild in late November for Minnesota. We’ve had some bone chilling wind chills the last few weeks, but the few days after Thanksgiving has been a much needed heat wave. It was about 30 degrees, but no wind. This made great timing for a recipe I needed to grill! 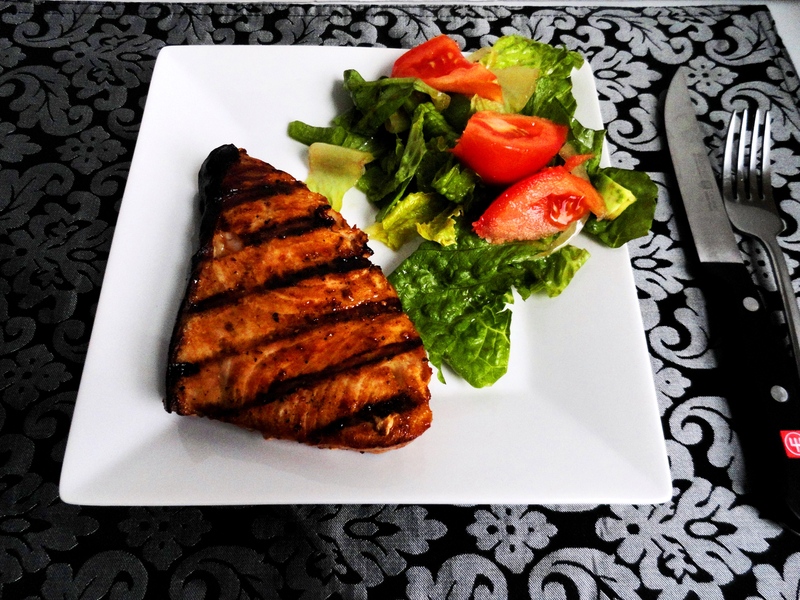 I loved the flavor of the marinade and thought it would be perfect for such a lacking fish. Nate loved the it, and demolished his within minutes. I didn’t care for it as much; I thought it had an overly fishy flavor. And I love fish – I’ve never met a fish I didn’t like, but this just didn’t taste good to me. I think part of the problem was that I may have slightly overcooked it, which actually will bring out a fishy flavor in seafood. Funny right, because you’d think it’d make the fishy flavor go away! But, I promised to share all my adventures with you, good or bad. In this case, I guess it was 50/50 since Nate liked it and I didn’t. I’d love to try this marinade on anything else; I’m sure shrimp, salmon, chicken, even pork would be lovely. 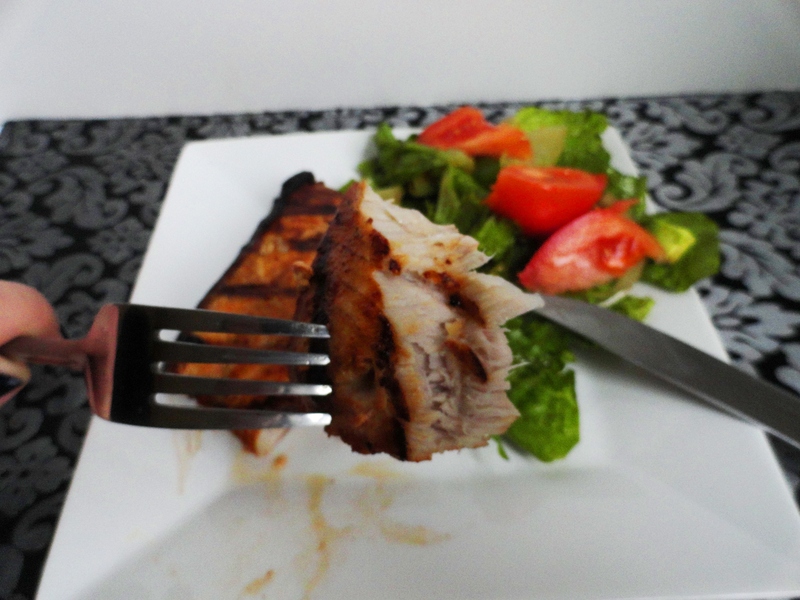 So if you don’t want to take the risk, or spend the money on swordfish, try the marinade on something you’ve already got in your fridge or freezer! 1. Preheat grill to medium-high heat. In a small bowl, whisk together tamari, olive oil, lemon juice and Sriracha. 2. Season steaks generously with salt and pepper, then brush with the tamari mixture. Grill swordfish about 4-5 minutes, then flip, and cook for another 3-4 minutes until opaque in the center, brushing occasionally with remaining tamari mixture. How many daily emails do you get? How many do you get that you just erase before even opening, either because you know what it is and you don’t want it, or because you don’t even care what it is? I don’t remember when I signed up for daily emails from Food and Wine, but I started getting them a few weeks ago. BIG MISTAKE. Not because I’m not interested, and not because I don’t want to see what’s in it. Just the opposite. They send daily recipes, in which most sound absolutely amazing. This one was no different. A few great things about this recipe. One: Crab. YUM. 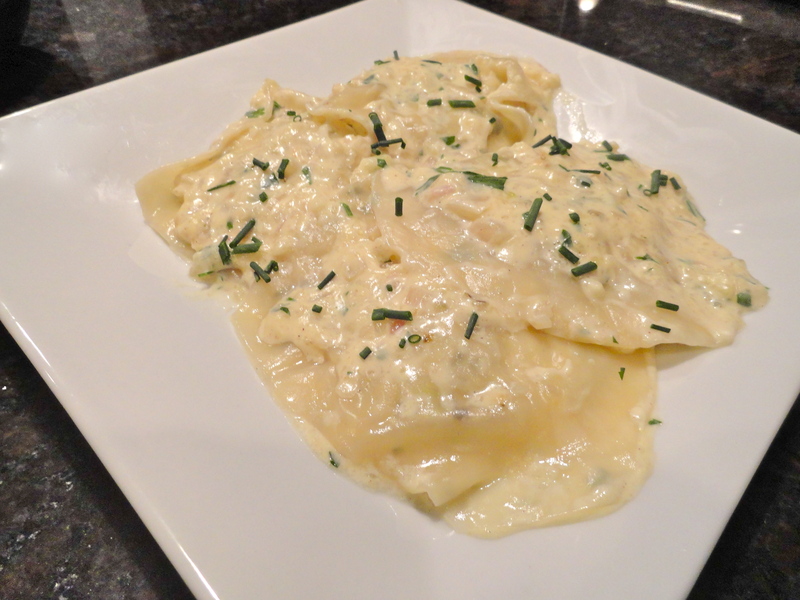 Two: Ravioli, without the hassle of making homemade pasta (I will do this some day…soon hopefully). Three: No cheese. Okay, for some (pretty much all) of you, this might sound like a not-so-great-thing, but it was wonderful for me, and still tasted rich, creamy and decadent. I loved this recipe, though Nate thought it was too rich. While it is creamy, the crab paired with the tarragon and shallots gives a very fresh, bright flavor. The recipe says it makes 8 servings, but I got 16 ravioli out of this recipe, so it’s more like 4. Maybe my wonton wrappers were larger, or I just filled them twice as much. My grocery store didn’t have clam broth, so I bought seafood stock instead. I know it’s not the same, but figured it couldn’t be too different. I also used half-and-half instead of heavy cream for both the filling and the sauce. In the sauce, I added just a touch of arrowroot (cornstarch would work just as well) to thicken it a bit. 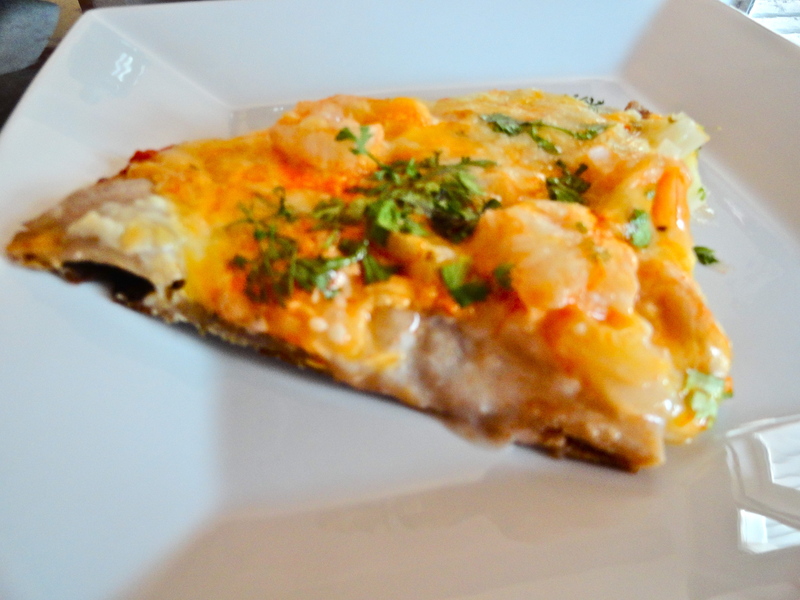 Everything was melded very well and I really loved this recipe. I would make it for company, but only when Nate wasn’t there since he didn’t care for it as much. 1. Melt butter in medium sauce pan over medium heat. Add flour and whisk until combined, about 30 seconds. Add half-and-half and continue to whisk until very thick, about 1 minute. Remove from heat and let cool. Fold in crab meat, scallion, tarragon and mustard. Season with salt and pepper. 2. On a work surface, lay out 4 wonton wrappers and lightly brush with water. Scoop about 2 tbsp of crab filling into the middle of each, and top with another wonton wrapper. Push out any air pockets and firmly press edges of wonton wrappers together. Trim excess dough with a 2 1/2 inch biscuit cutter, round or fluted edge (I don’t have a biscuit cutter, so I trimmed the edges – unevenly – with a pizza cutter). Transfer to baking sheet in single layer and repeat with remaining filling and wonton wrappers. 3. In a deep skillet, heat olive oil over low heat. Add shallot and cook until softened but not browned, about 4 minutes. Add half-and-half, clam broth and arrowroot or cornstarch, bring to a boil over high heat. Once thickened slightly, remove from heat and whisk in mustard and parsley. Season with salt and pepper. Cover and set aside. 4. Cook ravioli in a large pot of boiling salted water. Ravioli will float to top when they are done, about three minutes. Remove with slotted spoon and add to shallot cream sauce. Toss gently over low heat and serve immediately. Garnish with more parsley or chopped chives.